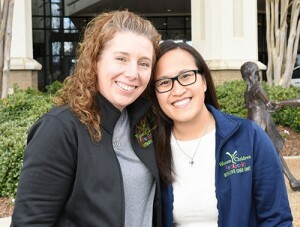 The affiliation between the hospital and D1 means more cooperation between D1’s speed and strength coaches and Huntsville Hospital Sports Center. Learn more. Huntsville OB-GYN Krishna Kakani, MD, expects to deliver her 10,000th baby at some point in 2017. It’s a remarkable milestone for one of the area’s longest-practicing obstetricians. Read more. Beneficiaries of the Public Education Employees’ Health Insurance Plan who are Medicare-eligible retirees and Medicare-eligible dependents covered on a retiree contract are automatically enrolled in the new UnitedHealthcare® Group Medicare Advantage (PPO) plan. Learn more. RN Win Bailey kept her cool when a relative had a heart attack at the Jack Daniel's Distillery. RN Stephanie Barton waded into a roadside ditch to help a critically injured crash victim. Read more. Healthgrades has ranked the cardiac surgery, orthopedic surgery and neurosurgery programs at Huntsville Hospital as among the best in the nation for 2017. Read more. 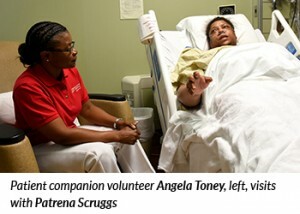 Volunteer patient companions help provide a safer enviornment for people in the hospital. Learn more. In October 2015 Adam DeMaiorbus came down with the worst headache of his life. He fell four times trying to walk to another room and didn’t have the strength to get up. 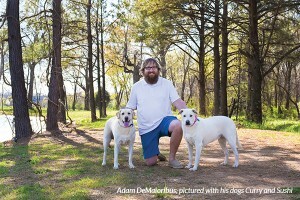 Read Adam's story. Florence family leans on Huntsville Hospital after horrific crash, childhood cancer diagnosis. 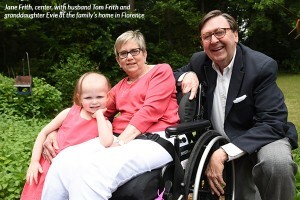 Read the Frith's story. 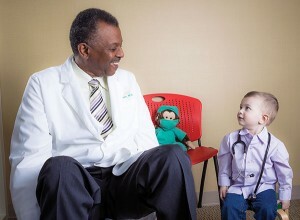 Huntsville Hospital named # 2 in state by U.S. News and World Report and earns "High Performance" label in seven areas. Read more. Six weeks after joint replacement surgery on his left knee, Smith was ready for some light hoops with Phylli in the driveway of his Madison County home. Read his story. When Joey and Laura Bogus brought their son to the Huntsville Hospital for Women & Children Pediatric ER in December of last year, they were desperate to know what was causing his abdominal pain and other worsening symptoms. Read more.